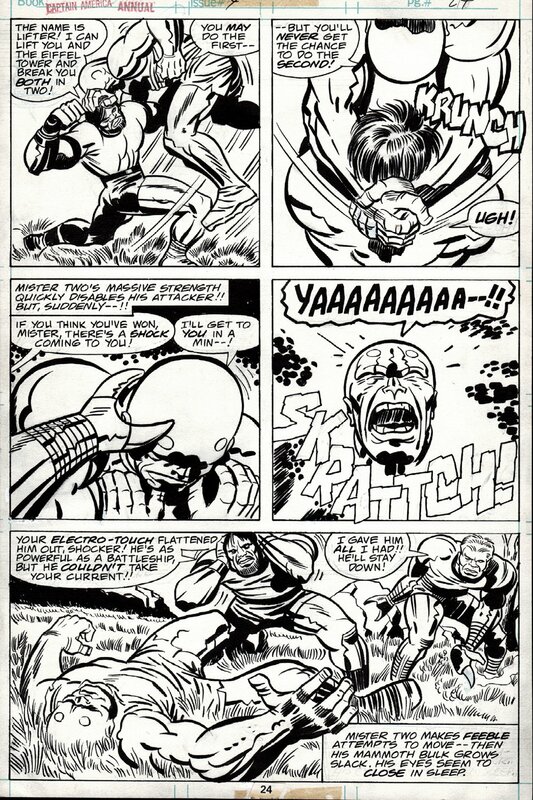 Check out this nicely drawn 1977 Captain America / Magneto Battle page which was penciled by the KING, Jack Kirby, and inked by Mike Royer! The Jack Kirby drawn characters battling are simply BREATH-TAKING on this page, as Shocker and Lifter battle and defeat...MR. 2! 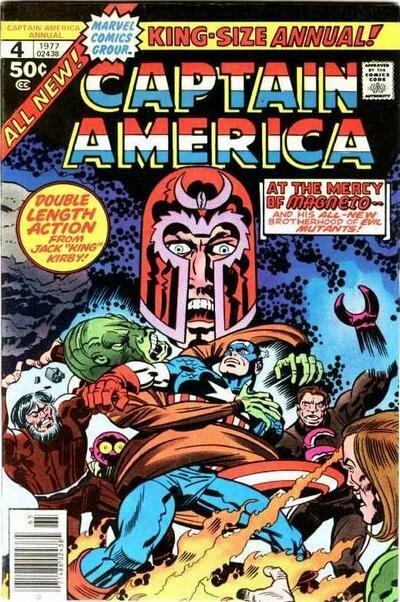 Just a neat 1977 Kirby Captain America page! ALL art on our website (including this one) are able to be purchased with VERY fair time payments, and trades are always considered towards "ANY" art on our website! Just send us an email to mikeburkey@aol.com and we can try to work something out.